Most of the owners protect their car from scratches. They love their car as such their baby. If they find a small scratch, it’s a burden for them until they fix it. They will think of the scratch alone, until they remove it. The scratch is divided as major or minor based on the size and depth of it. The scratches can bring some complicated problems based on the position where it is. If you have decided to fix the scratch immediately, this article will surely help you a lot. Clean the spot where the scratch is. Clean it with soap water using a soft cloth or a sponge. After cleaning, see whether the scratch is visible or not and also check that you feel the scratch when you touch it with your hand. If yes on both cases, then the scratch is deep and it went into the coat. If the scratch ran into the clear coat of the car, then the first thing you have to do is to make sure that the surface is clean. Make use of a microfiber cloth; dip it with fine polish solution. Now rub the cloth over the scratch area. Rub them in clockwise direction until the polish solution enters the scratched place, and then remove the extra polish and leave it to dry. Check that you can feel the scratch still, if yes, you make use of this option. Make use of the rubbing alcohol. Use a microfiber cloth; dip it with the rubbing alcohol. This process should be done with utmost care. Now rub the cloth over the scratch area. Rub them in clockwise direction until the rubbing alcohol enters the scratched place, and then remove the extra rubbing alcohol by wiping it in clock wise direction with the other side of the micro fiber cloth and leave it to dry. You should be cautious while rubbing, too hard rubbing will spoil your repairing job. If you still notice the presence of scratch in that place, do the above process again. Make use of excess rubbing alcohol. Do it until the scratch disappears. Using the above tips it’s possible to remove a small scratch. Use the polish solution and rubbing alcohol sparingly. Use the appropriate solution for the scratch. If the scratch is wider and deeper means it is always advisable to have a professional assistance to remove the scratch. 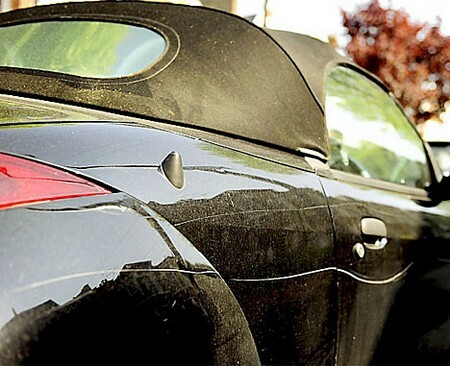 Try to repair the scratch soon if it is deeper to prevent the further damage of the car.